The Football Association has announced a new initiative aimed at tackling the dropout of 14 - 17 year-olds from football in England. According to research commissioned by the FA and partner Vauxhall Motors, the main reasons for players leaving the game included a realisation that they were not going to play professional football, club football becoming more competitive and the lure of other pursuits. External pressures including school work, travel arrangements and part-time jobs were also cited as reasons. The FA and Vauxhall aim to tackle these issues head on by offering a recreational form of football in after-school clubs, played in quality small-sided facilities and run by specialist FA Coaches. As part of the The FA Vauxhall Youth Programme, 14-17 year-olds will be able to sign up for a 10-week block of sessions which will cater for every ability and fitness level. It is hoped that these sessions will inspire teenagers to get back into affiliated football in either small-sided or 11 v 11 formats. 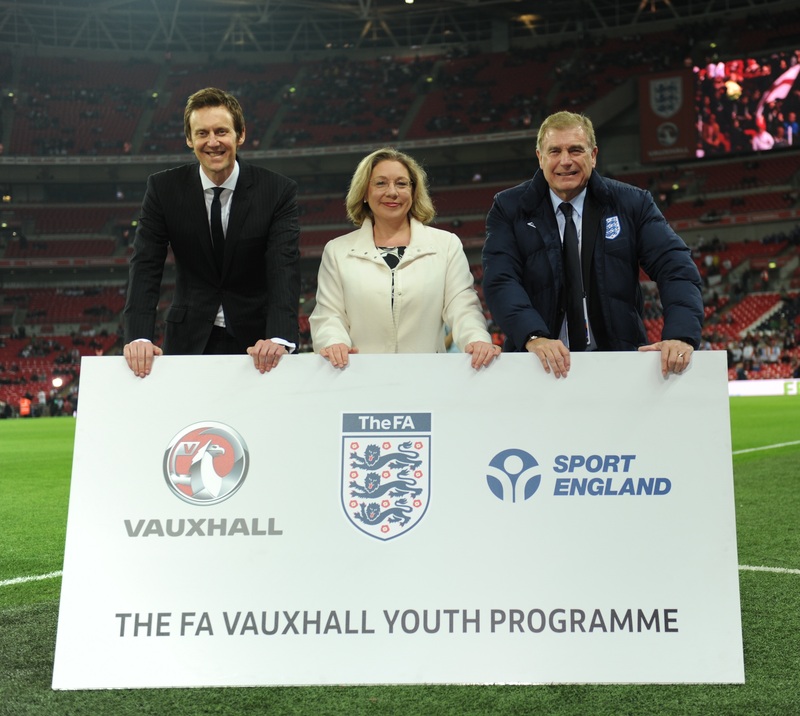 Vauxhall Managing Director, Duncan Aldred, said: “We are very excited to talk about our plans for youth football moving forwards and tackling the issues we are currently facing with youth participation. As part of their focus on the 14-25 age group and drive to address participation rates, Sport England has committed to match-fund £100,000 of Vauxhall’s investment through its SportsMatch scheme to launch the programme. The FA and Vauxhall will appoint eight full-time specialist coaches to run up to 40 sessions per week across England for both boys and girls. The coaches will also help support teenage football in schools and clubs, helping to re-instil young people’s affection for playing the game and deliver high quality training. FA Senior National Game Development Manager, Peter Ackerley added: “The FA is working closely with its Youth Partner Vauxhall alongside Sport England to understand the issues around the significant drop off in football at this age and ensure that we address this with the appropriate football offering tailored to engage the youth audience.